Over the last week, we’ve worked on revamping our Hosting offering with a major product launch and a much-requested upgrade for our shared hosting architecture. We’re very excited about these changes and have been working incessantly on them for a while. As part of this mini-revamp, we’ve rolled out Geo-Located Hosting in 2 locations – UK and India. 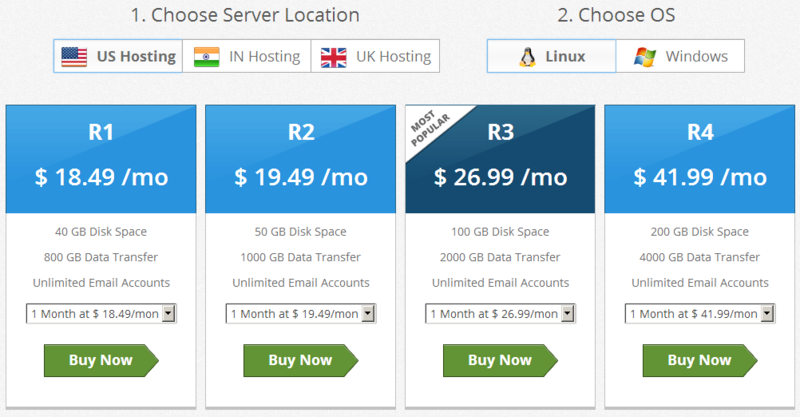 We’ve also introduced a new version of our Single Domain Shared Hosting product. While these new launches have been highly anticipated, we’ve made a few changes to accommodate them. In this post, you’ll find all the information you need to get started with these new products as well as some important notifications so do read on! Geo-Located Hosting is the newest addition to our product portfolio and with this launch we now offer Shared & Reseller Hosting in 2 new locations i.e. UK and India. You’ll now be able to offer all flavours of Shared Hosting i.e. Single-Domain, Multi-Domain as well as Reseller Hosting with servers located in the US, UK and India. The parameters for plans across different geographies remain the same and you can take a look at the prices here. Efforts are already underway to introduce VPS Hosting on Indian and UK servers and you should see that happen over the coming months. Another major change we made over the past week is a new version of our Single-Domain Shared Hosting product. To give you a little background, our current version of Single-Domain Shared Hosting doesn’t use cPanel for Email & DNS Management. With the new version, we’ve made it a lot easier! 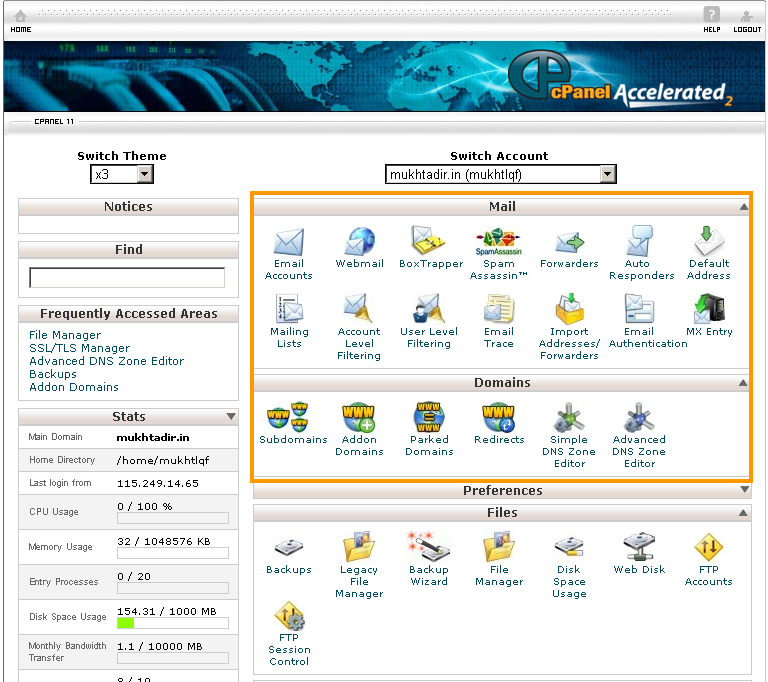 All functions including Email & DNS can now be managed through cPanel. Why have we introduced the new version? We’re making the architecture of this product consistent to our other Shared Hosting products i.e. Multi-Domain Shared Hosting & Reseller Hosting. cPanel is an industry standard for web hosting management & is preferred by Customers from around the world. With this change we’ve also made sure that new Resellers do not have to spend time educating themselves and their Customers about various interfaces. If you’ve enabled the ‘Automatic Signup for New Products’ option in your ResellerClub Control Panel, you can immediately start offering this product. 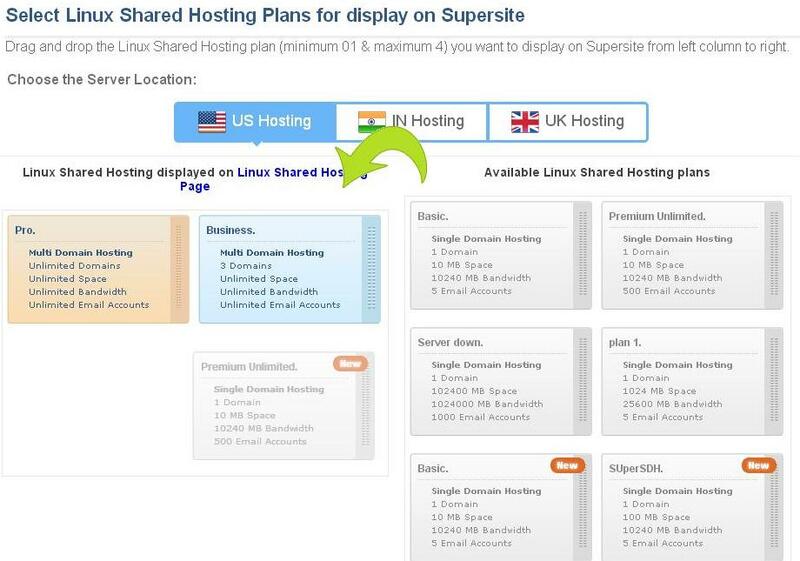 Do note that all the plans you have created for the existing Single-Domain Shared Hosting product have been replicated under the new version & all you need to do is display them on the SuperSite to start offering it. However, if you’ve disabled the above option, you can sign up for it from the ‘Manage Products & Pricing’ section in the Control Panel. You’ll then have to create plans & set pricing before you can begin selling this product. As part of this launch and in order to give all of you enough time to migrate to the new architecture, you will currently see two options for Single-Domain Shared Hosting in the Control Panel. You can find the new version using the path mentioned below. The older version continues to be a a part of Web Services in the Control Panel. As I mentioned before, if the ‘Automatic Signup for New Products’ option in the Control Panel is enabled, you will not need to create new plans for the New Single-Domain Shared Hosting product. However, if the option has been disabled, you will need to create plans for the new version. With two options of the same product, it can get a little confusing about the exact plan that you’re displaying on your SuperSite. To start displaying plans of new product, simply go to the settings tab in your SuperSite admin area, click on the Single-Domain Hosting option and choose the plans that are marked ‘new’. Over the last couple of days, we’ve heard a few Resellers ask us this question and I just wanted to clear out any doubts or concerns you may have about your existing packages. Existing packages will remain unaffected and can be renewed year after year. We will also continue to fully support these packages and you can be assured that you will not face any problems with packages under the old architecture. Currently, you will be able to offer both the versions of Single-Domain Shared Hosting. However, we will be discontinuing new orders for the older version in a month i.e. 14th January 2013. This means that you will NOT be able to provision the older version post this date. Moreover, you will also not be able to create plans for the older version after the 14th of January. On a final note, we believe the new architecture is more suited and easier for Web Hosts and we suggest you move entirely to the new architecture as soon as possible. There you have it – Everything you need to know to get started with our new Hosting products! 2012 has been big year for us when it comes to our Hosting product portfolio and we’re thrilled about all these new products. The team has been getting some great feedback from many of our Resellers already and I’d love to know what you have to say. Do comment below & let us know what you think about these new products & what you expect in the coming year!